Sea Shepherd’s Bob Barker vessel, with 21 activists on board, has been refused entry to the Faroe Islands by Danish authorities protecting whaling. 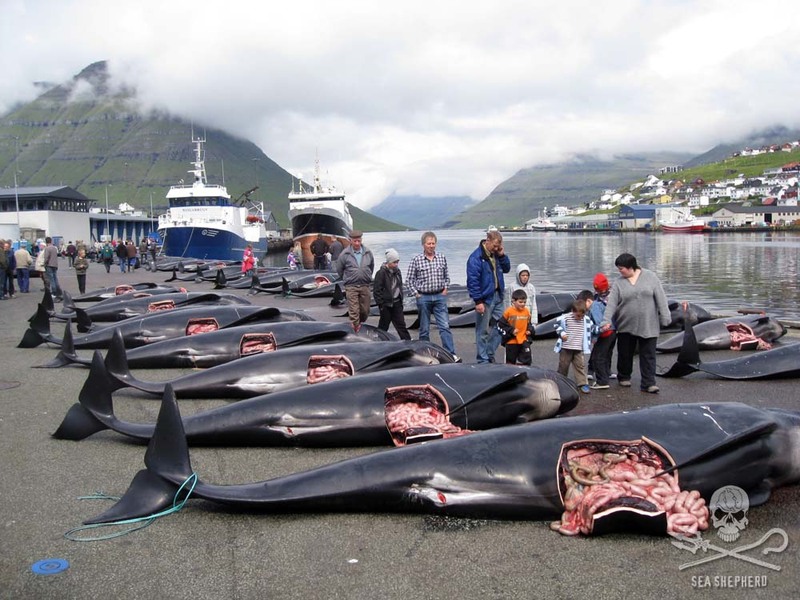 A Faroese government statement said the decision was to protect “the legal and regulated activity of driving and killing pilot whales for food,” reported The Guardian. Sea Shepherd believes the action by Danish Customs at the port of Sund is unlawful. 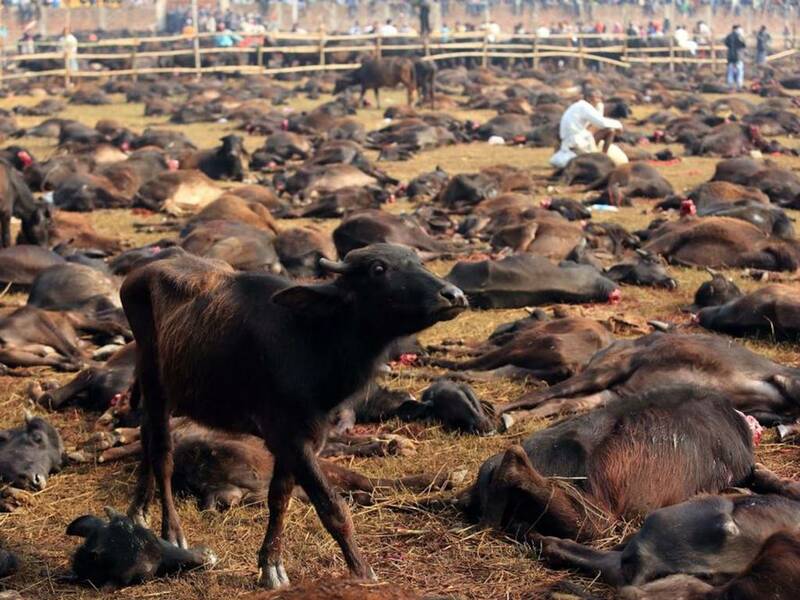 The statement made by the trust chairman at a press conference in New Delhi this week is an important milestone, with a compassionate plea to make this traditional slaughter festival a blood-free celebration of life. The decision follows negotiations and campaigning by Animal Welfare Network Nepal, Humane Society International/India and People for Animals, who organised the conference. Anti-whaling group Sea Shepherd estimates 250 pilot whales were killed last week. Is it time tradition was buried with whale bones littering the seabed? Sea Shepherd protestors have been arrested trying to stop the pilot whale hunts in the Faroe Islands, but video footage and photographs by other group members captured the horrors of the mass slaughter.